Long the industry standard, the HARTCO® clip fastening tools for clipping applications including animal and livestock cages or traps, cement wire fastening, concrete rebar use plus more are here online. Discover highly-efficient clinch clip. 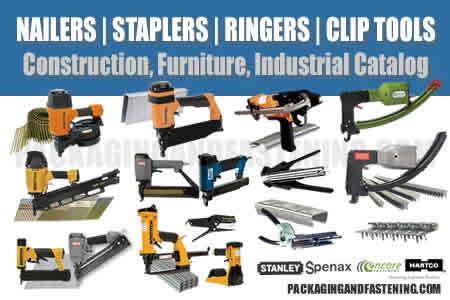 Order hand-operated strip fed clip tools and continuous coil fed clipping tools. Hartco tools are available now. Learn more. This technical guide shows you how to choose the right clip and correct clip tool for your clipping applications. Go to the guide then use the information to order from our convenient online clip tool and clinch clips catalog. Tool has thin and narrow anvil. HR-45TN provides clipping access for small gauge wire on tight grids (i.e., 1/2" x 1/2"). 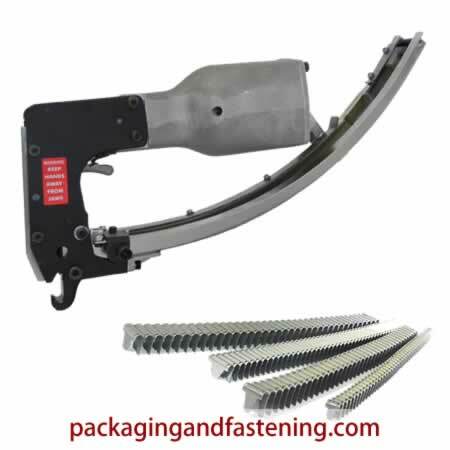 Order Classic Hartco “A” Series HR-46 heavy-duty pneumatic clinching tool that uses clips in strips at packagingandfastening.com now. Tool and clip have detent for slip resistance. The HR-61 clip tool combined with a stainless steel clip HR-CL-61S430D will secure loops of concertine barbed wire. Order Classic Hartco “A” Series HR-65AT heavy-duty pneumatic clinching tool that uses clips in strips at packagingandfastening.com now. Furniture, including Hi Loop Sinuous w/ Reduced Clearance. Model 85C Light Clipping Tool. Hand-held, manually operated, lightweight CLASSIC SERIES HR-65C-130 pneumatic clip tool in strips. Order Classic Hartco “A” Series heavy-duty pneumatic HR-66 clinching tool that uses clips in strips at packagingandfastening.com now. HR-66C-110 clinching tool squeezes instead of folding the clip around wires. In one step the driver blade cleanly picks up a clip from the magazine, places it around the wires and the driver and anvil form the clip into a tight strong wire bond. Order Classic Hartco “A” Series heavy-duty pneumatic HR-68 clinching tool that uses clips in strips at packagingandfastening.com now. Model 85C Light Clipping Tool - Square Blade. Hand-held, manually operated, lightweight CLASSIC SERIES HR-68C-100 pneumatic clip clinching tool that uses clips in strips. Order Classic Hartco “A” Series heavy-duty pneumatic HR-85 clinching tool that uses clips in strips at packagingandfastening.com now. Order Classic Hartco “A” Series heavy-duty pneumatic HR-85B clinching tool that uses clips in strips at packagingandfastening.com now. Model 85C Light Clipping Tool - Square Blade. Hand-held, manually operated, lightweight CLASSIC SERIES HR-85C-100 pneumatic clip clinching tool that uses clips in strips. Model 85C Light Clipping Tool - Angle Blade. Hand-held, manually operated, lightweight CLASSIC SERIES HR-85C-110 pneumatic clip clinching tool that uses clips in strips. Order Classic Hartco “A” Series heavy-duty pneumatic HR-85S clinching tool that uses clips in strips at packagingandfastening.com now. Light Clipping Tool. Hand-held, manually operated, lightweight CLASSIC SERIES HR-85SB10 pneumatic clip clinching tool that uses clips in strips. Select the Hartco “B” Series clip tool for your next clipping job. Hand held, heavy-duty pneumatic HR-85SBN clinching tools use clips in strips. 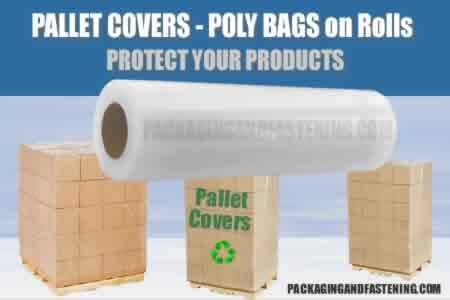 Order at packagingandfastening.com now. 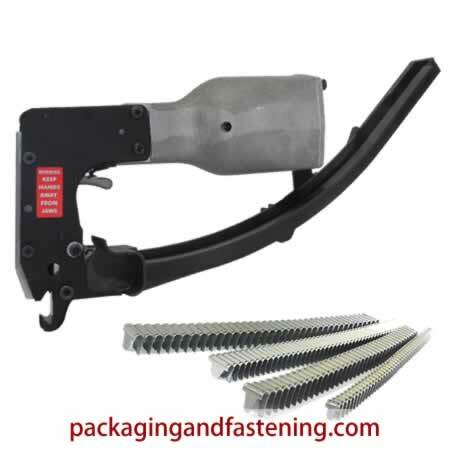 Order Classic Hartco “A” Series heavy-duty pneumatic HR-85SN clinching tool that uses clips in strips at packagingandfastening.com now. Model 86C Light Clipping Tool - Square Blade. Hand-held, manually operated, lightweight CLASSIC SERIES HR-86C-100 pneumatic clip clinching tool that uses clips in strips. Model 86C Light Clipping ToolHand-held, manually operated, lightweight CLASSIC SERIES HR-86C-110 pneumatic clip clinching tool that uses clips in strips. Model 85C Light Clipping Tool - Thin, Narrow Blade and Anvil. Hand-held, manually operated, lightweight CLASSIC SERIES HR-86C-170 pneumatic clip clinching tool that uses clips in strips. 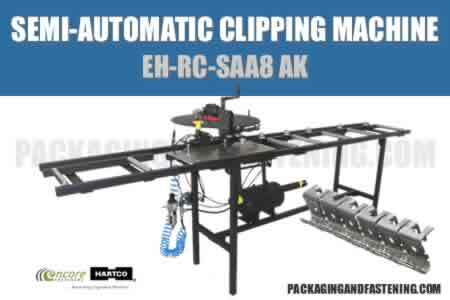 Order Classic Hartco “A” Series heavy-duty pneumatic HR-88 clinching tool that uses clips in strips at packagingandfastening.com now. Hand-held, manually operated, lightweight CLASSIC SERIES HR-88B pneumatic clip clinching tool that uses clips in strips. Hand-held, manually operated, lightweight CLASSIC SERIES HR-48CCP pneumatic clip clinching tool that uses clips in coils. Hand-held, manually operated, lightweight CLASSIC SERIES HR-49CCP pneumatic clip clinching tool that uses clips in coils. Choose from our complete selection of E-Series HR2000 clip tools. 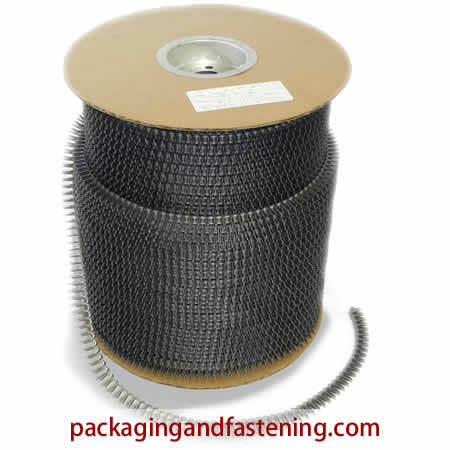 Order pneumatic clinchers for wire fastening online now. Get details. 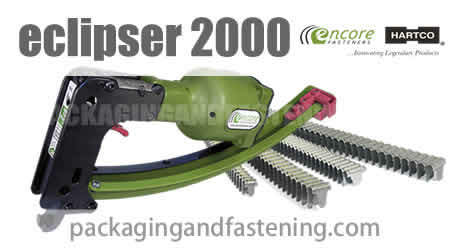 Select from our wide variety of Eclipser-2000 Series clip tools. Order air operated clinchers for wire fastening online now. Get details. Discover our Eclipser Hartco series pneumatic collated clinch clips. We have collated air clip fasteners for your next clinch clip job including cages, J-Clips, concrete rebar, cement wire fastening, bedding, furniture and other uses requiring efficient clip fastening. Pneumatic clip fasteners are available online. Order collated clips today. Get details. Discover our wide selection of clip Classic Hartco series clip fasteners to fit Hartco pneumatic clip tools. 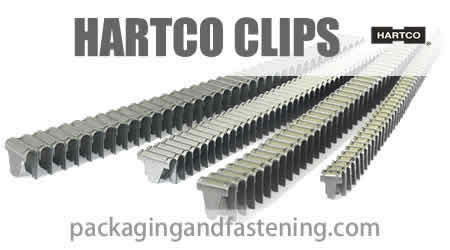 We feature Hartco clinch clips. Get details. 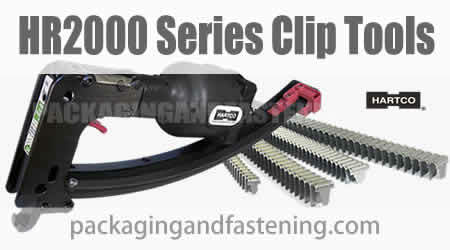 Choose from our complete selection of Eclipser series clip fasteners - clinch clips to fit most pneumatic clip tools. Buy J-clips for wire fastening now. Get details. Discover our coil collated clips for your next air operated clinch clip uses including bedding, furniture and more. Learn more about the Eclipser and Hartco Series pneumatic coil e-clips. Coil collated automated coil clips are available online. Read more.